Russia lost a bid last week at the global chemical weapons watchdog to launch a joint probe with Britain into the spy poisoning scandal. It has sought to press its case at the highest level, calling for urgent UN Security Council talks. 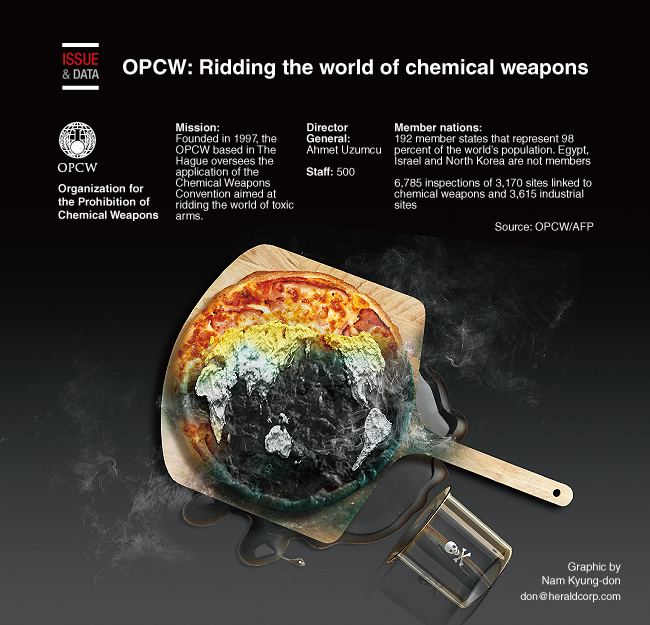 Founded in 1997, the Organization for the Prohibition of Chemical Weapons based in The Hague oversees the application of the Chemical Weapons Convention aimed at ridding the world of toxic arms. Chemical weapons, such as mustard gas, were first used on the battlefields of World War I and also in 1988 by late Iraqi dictator Saddam Hussein against civilians in Halabja, Iraq. Other incidents include the 1995 subway sarin gas attack in Tokyo by a Japanese cult. After almost 20 years of negotiations, the convention took effect on April 29, 1997. The OPCW now has 192 member nations. It has overseen the destruction of some 96 percent of the world’s declared chemical weapons stocks of 72,304 metric tons.